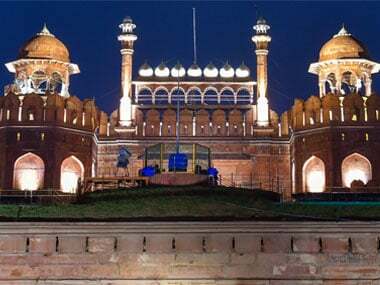 New Delhi: Around 2,500 lamps will illuminate the historic Red Fort from 7.30 pm to 11 pm, starting Friday, in the run-up to Independence Day celebrations, a statement by the Ministry of Culture said. 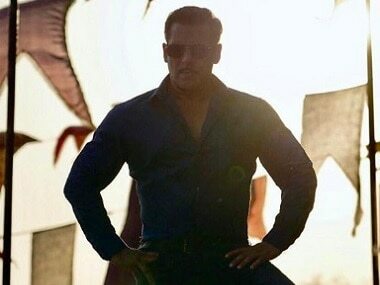 It is the first ever illumination of the historic monument's front fortification wall and its two important gateways - Lahori Gate and Delhi Gate, it said. The illumination ceremony was held in the presence of Minister of State for Culture Mahesh Sharma on Friday. The 17th century Mughal era monument has been lit up with architectural lighting, known as 'element illumination', to enhance its architectural beauty after sunset, the statement said. "We have proposed to take up the illumination of all our 100 'Adarsh Smaraks' to highlight the archaeological magnificence of our historical monuments. This will not only make the local residents proud of their heritage, but will also help to promote night tourism in a big way," Sharma said. Among those present on the occasion were Arun Goel, Secretary, Ministry of Culture, Usha Sharma, Director General (DG), Archaeological Survey of India (ASI), Raman Aggarwal, ED (NBCC) and other senior officials from the Culture Ministry. The National Buildings Construction Corporation (NBCC), which undertook the task of replacing the existing lights on 1.3 kilometre-length of parapets, has used around 2,500 lamps to illuminate the historic monument. The new architectural lighting will cast programmed light on components such as domes, ramparts, minarets, arches and balconies from different directions to highlight their architectural details. The new illumination comprises simple yellow and static lighting, the statement said. Installed at the cost of Rs 3 crore, it took about two months to complete the task. The illumination has been done using LED lights, it said. NBCC had partnered with the Archaeological Survey of India for the project to enhance Lal Qila's (Red Fort) architectural splendour after sunset, the statement added.